Being Mrs. Gentry: Today is a day for list making. I have something like 4 lists going right now: housework, packing, to-do, plus this one. (See how I just included a list of lists in the count of lists? OOC.) This weekend is Disciple Now at our church, and while we're not hosting kids at our home this year, we'll be heavily involved in driving them around, delivering food, and all kinds of fun things. Really, there is no telling what will happen when teenagers are involved. Last year, I was in active labor when I showed up for the Friday night events, then delivered a baby the next day. D-Now is a few weeks earlier this year, but nonetheless it's giving me waves of nostalgia. This weekend Jack is visiting my parents (hence, the packing list) so Mr. G and I are free to run around and be out late for all the fun stuff. I know my boy will be in good hands, but I will miss him! I am receiving spam text messages. As much as I would love to claim my $100 reward certificate from the anonymous 1-800 number in the most recent text I received, somehow I don't feel like that will end well. I'm on the national do not call list, so I'm not sure what else to do. Suggestions are welcome. Speaking of texting, data, and the like, I achieved top 5% status of AT&T's data usage in January. While I think this is fairly impressive, AT&T does not. I have unlimited data, but at reduced speeds if I hit that threshold again. Surely I'm not in a class all to myself. Are you also the 5%? I went to the Gilt City Warehouse Sale last weekend with my mom. It stressed me out and reminded me of why I pay retail and also enjoy online shopping so much. I don't do well in snatchy grabby situations, even when there are designer goods at stake, however I did score a cute handbag in this particular instance. That's all I've got. Have a great Thursday! I don't ever use Google Reader but that's super interesting to know. 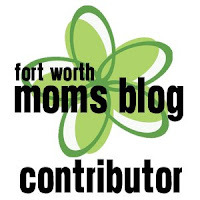 I sure hope people aren't skipping my meager little blog every day - ha ha! I often wonder what keeps people reading certain blogs - like I'll see uber popular ones that I don't get much from, or vice versa (some of my faves have like 10 official readers). It's an interesting world, this blogging! I usually use it with some of the design blogs that post like 30 pictures in a row. I'm with you. Some of my favorites don't have a wide audience either! You have CHANGED MY LIFE, I tell you! The J and K thing??? GENIUS. I am getting spam text too! What is up with that?? I am not in the top 5%, but I must say I'm not surprised that you are! You are the most tech savvy gal I know! 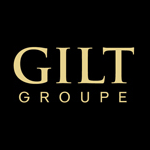 Gilt sounds so cool but would stress me out too. I get stressed out at WalMart.